/Edit Map /How do I add a new pin (marker) color? Paste (or drag/drop) all the data you want to appear on the map into the main data form. 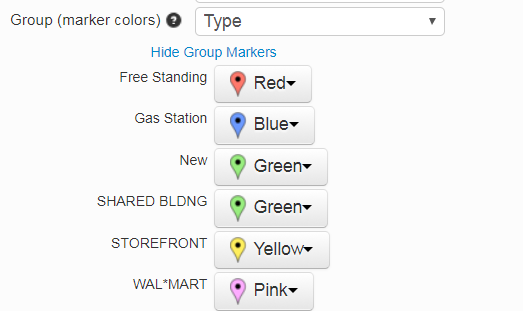 Show the group markers and change the color for the new group (‘New‘ in the image below).